of styles of worship from traditional Anglican services to more informal styles of worship. 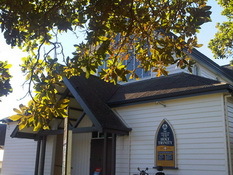 SUNDAY WORSHIP at HOLY TRINITY, 20 Church Street, Devonport. In this service we use the New Zealand Prayer book and the Book of Common Prayer on alternate Sundays. Hymns are sung which are accompanied by the pipe organ. This a special time for ALL ages to worship together informally. This service includes dramas and media clips. We tend to hold our Baptisms at this service which does not include communion. This Service loosely follows the order of our New Zealand Prayer Book, but is flexible and informal. The worship includes modern songs of praise and is led by our Music Groups. Children attend Super Sunday Club during this service and then join the adults in church for Holy Communion and a blessing. The 8am services and the 9.30am Services are followed by a time to socialise over a cup of tea or coffee. 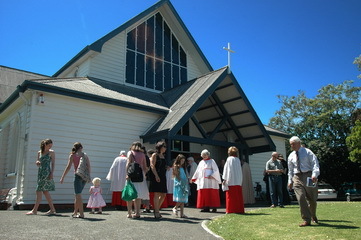 Parish Evensong occurs every so often during the year on a Sunday evening. Please contact the Vicar or the office for more information. Taizé Services are beheld on the 4th Sunday of the month at 5pm. Midweek Communion Service every Wednesday 10am in Holy Trinity Church. During Lent there is an additional Communion Service at 6.00pm on a Wednesday evening. Midweek Services take a break from Christmas to the end of January. 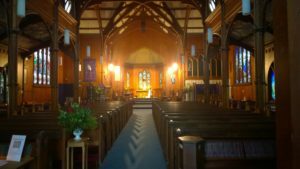 Midweek Evening Service on Wednesdays at Holy Trinity Church. 7.30 – 9pm during term time. The midweek Wednesday evening services are designed to offer Church with a difference. The service is informal and offers opportunities for discussion and question. The vision is to disciple people in thoughtful ways that enable us to live out our Christian Faith in the world. We also offer healing services, café services and other occasional services. The times for these evening services are variable and may be verified by ringing the Vicar on 445-0378 or the Parish Administrator on 445-0328. Morning Office which includes Prayer and Bible readings occurs daily Tuesday through Friday 8.45 – 9.15am in Holy Trinity Church. 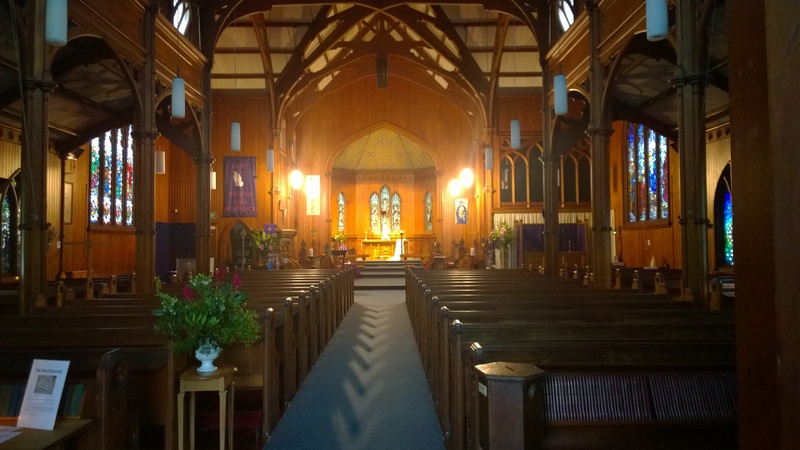 Holy Trinity Church is open every day during daylight hours for prayer and reflection.